ClickSend is a cloud-based service that lets you send and receive SMS, email and voice worldwide. 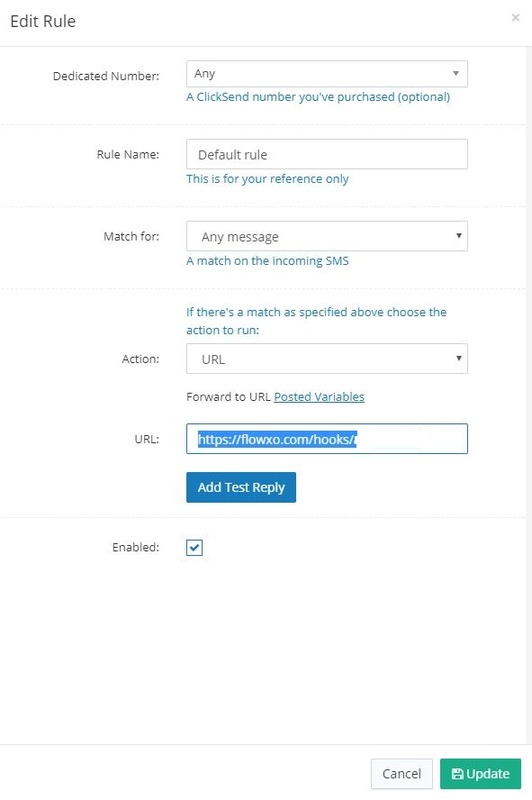 For the purposes of working inside a Flow XO flow, we'll be using ClickSend's SMS features as part of an automated sales and marketing flow. 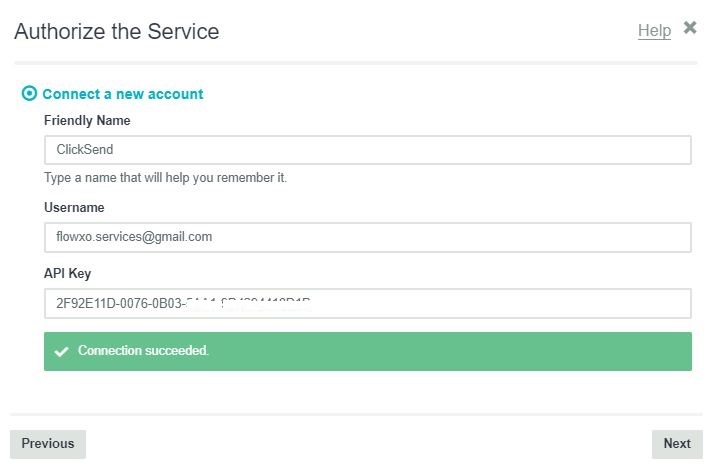 The first time you use ClickSend in a flow, you'll be asked to connect your account. You can now click 'Next' to continue configuring your flow. For the 'New SMS' trigger you'll need to set up a webhook, ignore the prompts onscreen and follow the next instructions. In ClickSend, you'll need to paste in the copied URL. Just Click on SMS > Settings> Inbound SMS Settings. Click Edit. Paste the copied URL in the URL field onscreen. Then click the [Add Test reply] button to send a test. What values can I use in the ‘Sender ID’ field - and how does that affect replies? ClickSend provide a fixed number to your account for free - you can send a message to your cell / mobile to get that number. If you want customers to send messages to you at any time without you sending one first then you need to get a dedicated number from ClickSend. A fixed number - replies by SMS will be forwarded to you by email from ClickSend also. Your own mobile number - replies will be sent to you as an SMS to your own cell / mobile. Your business name (Alpha Sender ID) - the receiver cannot reply. Take note that you can only receive replies with the fixed number. You should contact ClickSend to configure any of these options.